This is so sick, the phrase that picked my mind whilst nostalgia pricked in signs. As I stated with my last review, the humanisation of these ideas we host in the comic realm holds great moral imperative. Worth plenty when you compile the amount of intricacies within the film. 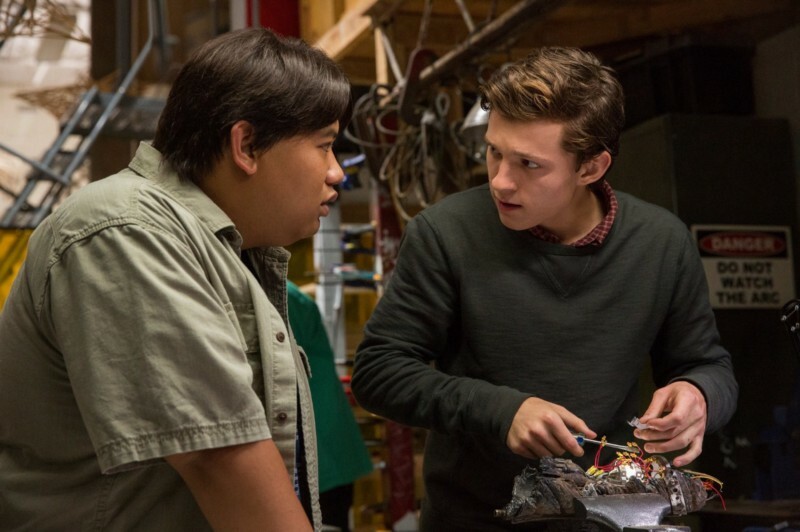 Spider-Man Homecoming connects with a widespread audience. A feat of Marvel and DC, any remake, is grasping at the beauty of nostalgia. Children engrossed with Fox Kids in the 90s and the colourful Spider-Man animation. Its epic theme song and hectic episodes including countless characters from the comics. Also, the beauty in the forever expanding lore, e.g. Madame Web, voiced by Stan Lee’s late wife Joan. Those fans of Spider-Man who didn’t even want Toby Maguire to retire as the Character. The avid comic book fans who had to conjure their concept of their heroes through roleplay or sheer imagination. The historical build up to an impeccable Spider-Man film has finally come to fruition. Conveniently at a time Marvel presents its outstanding continuum hailed as the Marvel cinematic universe. I have watched this film 3 times in cinema. Each time amazed at how clean the direction of it was. It was directed and written by Jon Watts. By no means is Watts a famed director, though this has put him on my mind map. In a collection of ideas, it reaches and grabs at everything to a point not one bit is overdone or nauseating. The darkness surrounding Uncle Ben’s demise and how that inspires Peter is no longer the focal point of Spider-Man. This is important to me because it is not a constant in every comic. The origin factor of such films tends to demand a beginning. Hence Batman is so intertwined with his Parents death, it gets one or two mentions if not through himself Alfred refers. In Homecoming, the film starts in a fantastic fashion, it mirrors the need to document today’s forms of technology and media presents. The film starts with Peter’s video log, documentation is so key today. With my iPhone, I can record a life series of my own behaviours and adventures, Snap Chat across the World, tweet anyone who wants to see. There is even a point Peter prides himself in his talent through YouTube. The film has a constant angle of contrasting seriousness with easy going norms. Hence, I felt it easier to consider Peter’s position as a 15-Year-Old. Spiderman on foot, how else can he get around without buildings? Tom Holland makes an intriguing Spider-Man, he has all the attributes necessary to be our new fascination. His physicality is outstanding, clips of his free running and flips show he isn’t a simple actor. Tom Holland even spent time at The Bronx High School of Science to gain an understanding of the common 15-Year-Old New Yorkers. British actors are my favourite, they seamlessly switch accent and maybe our cultural and analytical tendency to scrutinise comes into play. We are amazing at taking hints and reading faces, I wonder how it translates into the acting skill. In whole, it compliments Peter Parker and Spiderman, he’s very self-aware and cheeky. Robert Downey Jr has solidified playing Tony Stark, to a greater point Hugh Jackman did Logan for me. Different shape and spread in movies, though the contrast comes in longevity. We have not seen Tony in a masterful role, in a sense of being the turning point, the laid-back inspiration. His dialogue has always been key to the appreciation of his character, yet this chemistry he has with Tom Holland is special. A veteran actor alongside a prospecting Spider-Man. Michael Keaton made a tremendous villain. His Characters narrative as strong as my own outlook on life. The systematic advantage the rich have, it trumps hard work effort and living at 1%. 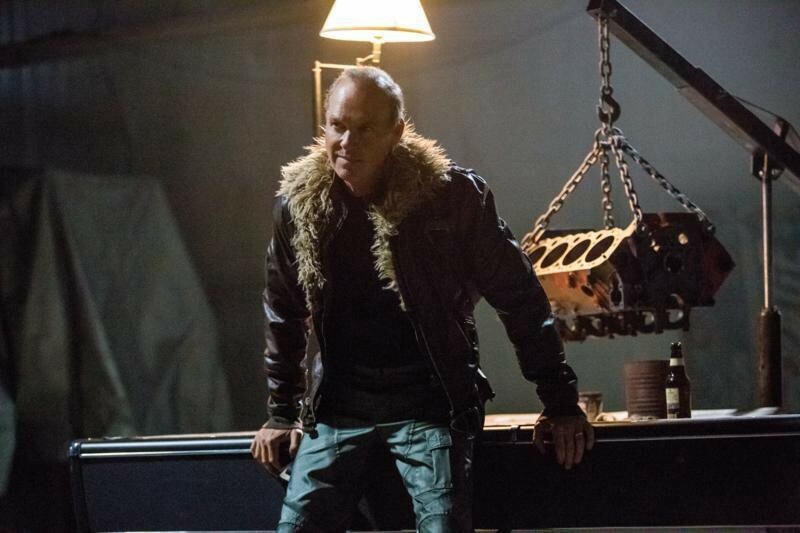 He plays Adrian Toomes, a contracted builder who works on removal sites. His aggravation lies in the hypocritical behaviour of the Government, becoming the Vulture in the process of recognising the changes the World faces. Toomes is like Tony Stark, in a sense of investment goals, though with class and the impact of having family their paths are eternally different. The cast was beautifully diverse, showing what a high school student could experience. I noticed Flash was portrayed by Tony Revolori, an actor of Guatemalan descent. Historically Flash is Peter’s bully, a concept I’m glad they did not overplay. Despite the terror that Flash displays, it is rarely the centrepiece of Peter’s day. He realises mature factors get in the way of normal teenage life as a hero. Such as the importance of being anonymous for May. Peter’s love interest is a girl called Liz, that draws out the typical reactions of a shy teen. Michelle Jones, played by Zendaya, is a play on MJ but exists as a Character much better than the previous. Although she is not our historical MJ, she interjects in the film every now and then as a comedic inner loner. It is a colourful cast, inviting the likes of Donald Glover to feature. One thing that surprised me was the inclusion of the African student. His accent was thick, it was fine by me yet in the cinema I expected laughs due to a usual lack of representation. I admired this, especially as culturally we tend to kill diversity comically, good representation is important and necessary. 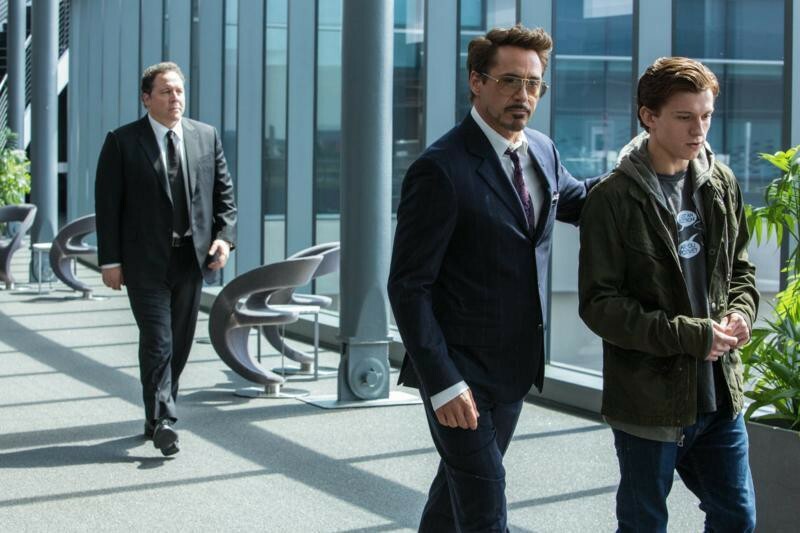 All such moments with these characters remind you that Peter is a student, living by the norms of being a teenager, while attempting to become an Avenger. His best friend Ned, “the guy in the chair” keeps Peter grounded whilst also encouraging teenage antics. It’s this closeness with normality that shows a more genuine structure of Spiderman that compiles his upcoming adult behaviour. One where he cannot segregate his identities as the role clashes. This film does a spectacular job of setting the foundations for Peter to realise that. Diving into the past, the adaptations of Spiderman I have seen usually show him at some form of peak or start with his humble beginnings. I’m glad that approach was cast away for a more favourable outlook on Spidey life. It truly builds a friendly, involved Spiderman. Most of the people he saves or performs for seem to be working class. Anonymity is not as precious for this Spiderman; hence he is the friendly neighbourhood hero we know and love. The cinematography of this film is epic, it captures an up-close Spiderman who speaks into existence his aims. The palette used to express the karma of scenes is interesting. It almost lingers on the edge of a dark point. One of the key scenes in the film show how proximity could have ended Peter Parker, a constant throughout his life as Spiderman, if not for his own moral settings. Spiderman is such a thing in my head whenever I see the suit I am hardly amazed, though in Civil War and Homecoming I was thrilled to see the new suit in action. My Deadpool reference is regarding how he is captured on screen. At points, the angle makes him look like any guy in a suit. Gadget filled, smooth and elastic. Tom Holland really looks sleek, his mannerisms as nippy and concentrated as you would expect. You can witness the excitement through his performance. So many alluring scenes, yet the scene I admired the most was of Peter putting on the suit. He moves like a being obsessed, it is ironic as debate regarding the suits usage is a key inspired moment in the film. Small parts, such as where does he keep his clothes and school bag, how he utilises his web and his own biology. It is brought into question through a fantastic script which lifts the veil on trivial answers through comedy. At times, the film felt like Deadpool through such, you were in hysterics. Though when I look back on it this film is better than Deadpool and has a way quicker transition into seriousness.